Tito La Rosa - Tour 2016! To celebrate and experience the power of sound healing. "Sound as seed allows you to cultivate the warmth in your chest so that you can allow it to open and glow. It lets you build your own history, make your own path. Sound as invisible energy fills you with strength, awakens your inner warrior, and connects you with your center so that you can make the major changes that you need to make in your life. Sound is luminous vibration that lets you leave your shadows and the darkness of your trauma so that you can be renewed and return to life. 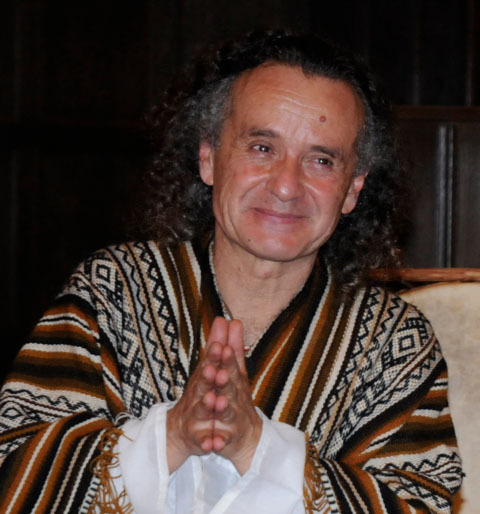 Luminous vibration can connect you to the divine and with your essence.” -- Tito La Rosa (spoken at a course on working shamanically with sound). Two adventurous musical spirits who delight in the here and now. Over the last few years, Global Fusion Music recording artist and multipercussionist Ian Dogole (www.iandogole.com) and master multi-instrumentalist and sound healer René Jenkins (www.vibetherapy.org) have developed a symbiotic chemistry that knows no bounds. Their musical forays are deeply rooted in the ancestral indigenous music cultures of the Americas, Africa and beyond and when combined with their irrepressible spirit of adventure, the result is a sonic feast for the senses and an uplifting, healing experience that is transformational. The Mama Pacha Sanctuary located in the Amazonian Region of Peru, aims to conserve, preserve and protect a wide variety of indigenous Amazonian plants. It is a place to study and share information once central to the indigenous people of the Amazon. Three originals. Three musical explorers. Their music knows no boundaries. As the summer season draws to a close, the Concerts at the Farm Series will fire up again on Saturday evening, September 12, when Alex de Grassi, Paul McCandless and Ian Dogole take the Munay Farm “stage” for an unforgettable evening of highly adventurous music. Whether playing jazz, indigenous music from the far corners of the globe or any other style that inspires their quest, these three innovators revel in the art of musical story-telling along with improvisational forays into the great unknown. This concert is likely to sell out so be sure to reserve your seat right away to share in an unforgettable evening of music. 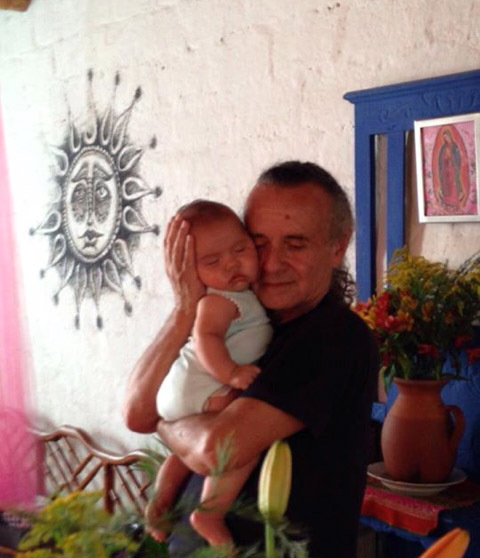 To celebrate with us the theme of Birth. Ayni Projects (www.ayniprojects.com), a 501(c)3 non-profit organization, is launching an exciting new concert series at its enchanting sanctuary in north Petaluma. 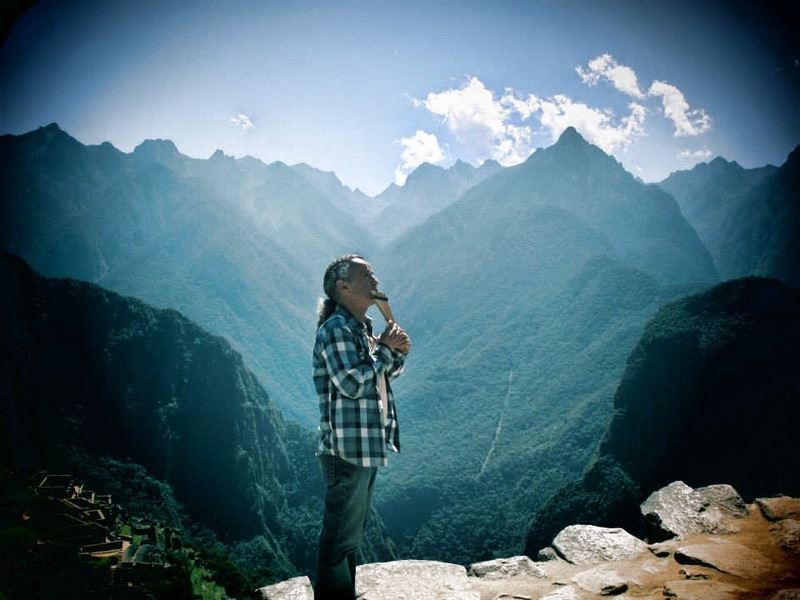 The new Concerts at the Farm series signals a brand new dimension to Ayni’s outreach with a mission to support the arts, support musicians who give their lives to their art and the communities they uplift, and continue to provide funding for Ayni’s humanitarian projects in the Central Andes in Peru. Musicians featured in these intimate concerts represent a diverse spectrum of styles that span the “World,” Jazz and Classical arenas with much cross-pollination. The thread that ties all of these performances together is the principle of “Ayni” or reciprocity, through the mutual experience of healing and uplift that occurs when musicians and audiences interact in such an intimate and welcoming environment as the Munay Farms sanctuary. One of the intriguing elements of the Concerts at the Farm series is the programming of unusual combinations of performers of diverse backgrounds and cultures who are not only stellar musicians and composers; they are bandleaders and visionaries. This is sure to generate thrilling new possibilities that our guests will experience up-close and in the moment. Here is a small sample of musicians you will hear in varying combinations during our initial season: Tito La Rosa, Ian Dogole, René Jenkins, Jennifer Curtis, Yassir Chadly, Pauchi Sasaki, Gary Malkin, Matthew Montfort (Ancient Future), Mariah Parker, Paul McCandless, Deborah Winters and many more. When you attend a concert at the Munay Farms sanctuary, the feeling is akin to a homey, oversized living room where you can stretch out and still be close enough to the music to feel like you are part of it. The environment is warm and inviting and conducive to a powerful and memorable listening experience. One of the most uplifting and healthful activities we can share is the playing of drums as a group. And what could be a more welcoming environment in which to revel in the beat of the drum than the Munay Farms sanctuary? We invite you to bring your drum (or use one of ours) and join percussionist Ian Dogole in a warm, wild and welcoming ritual of community drumming that will call in the spirits and drive out the demons. And if you just want to dance, come on down and shake it up with us. Stay tuned for dates and times for future drumming extravaganzas. Please note that we have made some changes to the schedule to make some events easier to attend on the weekend. These changes are in red print. Please post or pass this Information on to people who you feel might be interested.